THE recent zoning of Enugu State People’s Democratic Party (PDP) chairmanship to the state’s East Senatorial zone is gradually raising the tempo of politics in the state, which shortly after the conclusion of the 2015 general elections, has been dormant. The zone, which parades PDP stalwarts such as the former Senate President, Ken Nnamani, former governors Jim Nwobodo and Chimaroke Nnamani and some other distinguished new breed politician, has always played a leading role in the state’s politics since the new democratic dispensation in the country. In the 2015 elections, the zone became the political hot-bed of the state as a result of the array of contestants that wanted to either occupy the senatorial or House of Representatives seat from the zone. These included former Governor Nnamani, Senator Gilbert Nnaji, former Information minister, Frank Nweke (jnr), the immediate past Chief of Staff in the state, Mrs. Ifeoma Nwobodo, State Chairman of the All Progressives Congress (APC), Dr. Ben Nwoye, former House of Representative member, Princess Peace Nnaji, former board member, a House of Representative member, Chukwuemeka Ujam among others. Although the General Elections ended about seven months ago, the discontents thrown up by its outcome are yet to settle in the zone as the combatants are still in court over the exercise. Only recently, the Election Petition Tribunal upheld the election of Chime Orji in a challenge thrown by Chukwuegbo over the Enugu North and South Federal Constituency seat. The same goes for Ujam, whose declaration as winner of the Nkanu East and West federal constituency seat by the Independent National Electoral Commission (INEC) was contested at the tribunal by Nnoli Nnaji. But Senator Gilbert Nnaji could not escape with his as the tribunal nullified his election for Enugu East Senatorial district election following a petition against his election by former Governor Nnamani. The tribunal had last month ruled for fresh elections in the six local government councils in the zone within ninety days. Nnaji is still sitting at the Senate by the strength of the appeal he lodged at the Court of Appeal. A few other cases from the zone are still in the tribunal. Recall that the political gulf in the zone thrown up over the manner in which the PDP handled the primaries that led to the emergence of the candidates is yet to be resolved. 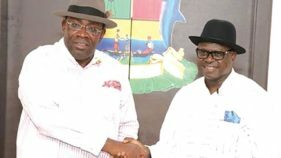 While the PDP in the state mulls the development in the party in the area since the end of the elections, coupled with the recent annulment of Nnaji’s election, a new issue has emerged that may compound and stretch further the discontent in the party, is the position of State Chairman zoned to the area. The state chairmanship of the PDP is moving to the zone the first time in sixteen years based on the rotation principle among the three zones of the party. Before now, Chief Charles Egumgbe from Enugu West Zone now Commissioner for Water Resources held the position. 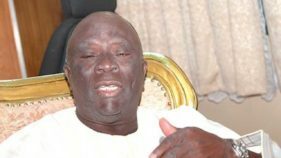 Egumgbe, who became the pioneer chairman of the party, was later appointed into the Chimaroke Nnamani government as commissioner. This paved the way for the emergence of Chief Onyioha Nwanjoku from the same zone, to complete the tenure of the area. From Enugu West, the position moved to Enugu North, where Chief Vita Abba took the mantle of leadership until early this year when he resigned to contest the Nsukka/Igboeze South House of Representative seat, which he lost. Abba’s resignation brought in Ikeje Asogwa, also from the same zone. About four months to the end of the tenure of Asogwa, the contest over who replaces him from Enugu East Senatorial zone has started gathering momentum. In the last count, at least seventeen stalwarts of the party from the zone are allegedly showing interest in the position. Investigations by The Guardian reveals that aspirants are coming from the six local governments that make up the senatorial zone and are relying on the support of the prominent party leaders and stakeholders in the area, especially those with future aspiration. The list is made up of out-going council chairmen, former as well as serving officials of the party from the zone among others. Such names as incumbent Secretary of the party, Steve Oruruo, former secretary of the party, Chief Dons Ude, former Council chairman, Jerry Eneh, PDP Youth Leader, Enugu East, Anthony Nwachukwu and Uche Oko are said to be gunning for the position from Nkanu West local council. From Nkanu East Council, Outgoing Council Chairman, Sam Iyiogwe, Jonny Nwatu and Frank Anioma are featuring, while Enugu South has Chief Ifeanyi Nnaji, Deacon Okey Ogbodo and Freedom Nnam. Enugu East has out-going council chairman, Cornelius Nnaji and Chief Eddy Nnaji, while outgoing Council chairman of Enugu north; Emeka Edeh is coming from the area as well as outgoing council chairman of Isiuzo local government, Augustine Nnamani. The Guardian gathered that the aspirants are either lining up behind the movers and shakers of Enugu East Senatorial zone politics and stakeholders from others zones to achieve their ambition or are being put forward by the political leaders as part of the strategy to gain political foothold of the party in the future. 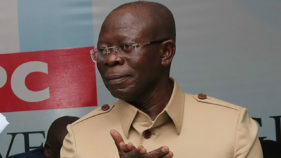 For instance, it was learnt that, although Deputy Senate President, Ike Ekweremadu is not from the zone, his political camp, interested in his future politically, especially his return in 2019 has put up Frank Anioma. A source disclosed that the decision to do so was reached after the camp reviewed the tough battle that came his way last year during the primary of the party, which pitched him against the former governor, Sullivan Chime, which he incidentally won. The source disclosed that his camp has decided to support the aspiration of Anioma, who is one of his aides to pave the way for him in 2019, adding that they were not prepared to give in to any chance. Jerry Eneh is said to be coming from the camp of former Senate President, Ken Nnamani camp; having served as Council chairman for Nkanu West under Chimaroke Nnamani. Mr Steve Oruruo, Ifeanyi Nnaji and Freedom Nnam are said to be coming from the camp of Senator Gilbert Nnaji. Nnaji, whose election as senator, has been quashed by the tribunal is said to be interested in the position of the state chairman to further entrench his position as the political leader of the zone. Sources said that Nnaji, who had been in government since 1999 has his eyes on the governorship of the state in 2023 when the position would return to his Enugu East zone and when the present occupant would have served out his tenure. It was however learnt that one of the greatest challenge the aspiration from his camp faces may come from the camp of the former Chief of Staff, Mrs. Ifeoma Nwobodo, who is said to have her eyes on the senate seat. unrelenting and has lined up out-going council chairmen, Cornelius Nnaji, (brother to Gilbert), Sam Iyiogwe, Emeka Edeh as well as Eddy Nnaji for the position. Sources said that Mrs Nwobodo, though not in government presently, still weighs some influence on the present administration having played significant role towards its emergence. It is being speculated that she might capitalize on her closeness with the governor to produce the next chairman of the party. Those who hold this school of thought believe that it would seriously impact positively on her senatorial ambition in 2019. Deacon Okey Ogbodo is said to be enjoying the sympathy of former governor Jim Nwobodo. His greatest asset is that he had been a long-term member of the party in the state. Anthony Nwachukwu, the Enugu East senatorial zone youth leader appear to be doing the battle alone, apparently based on his conviction that his long stay and consistency in the party which dates back to 1998 could woo support on his side. Sources link the development to the 2023 governorship election, which will rotate to Enugu East after the present occupant; Ifeanyi Ugwuanyi must have served out his eight years tenure in line with the understanding in the state PDP. Governor Ugwuanyi’s body language, the source added favours a state chairman from the five core councils of Nkanu land so as to pave way for his successor to come from Isiuzo local government.